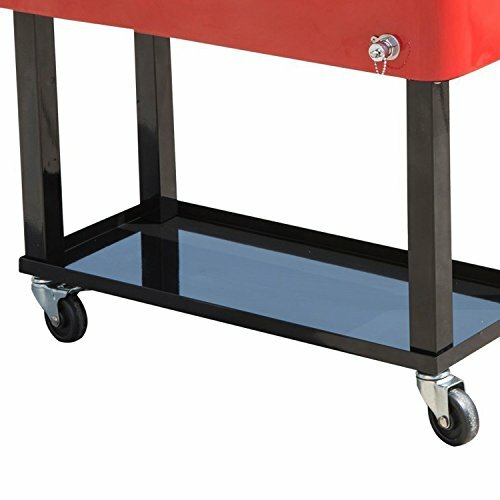 This Cooler Cart may be exactly what you've been looking for. 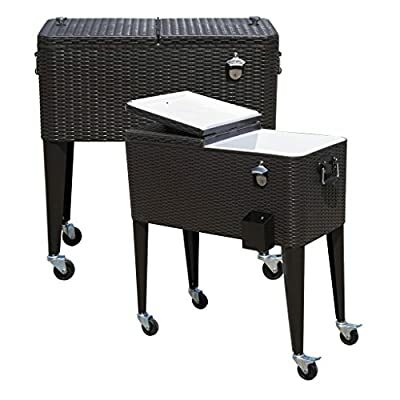 It will be a beautiful functionality addition to your patio, back yard or outdoor entertainment area. 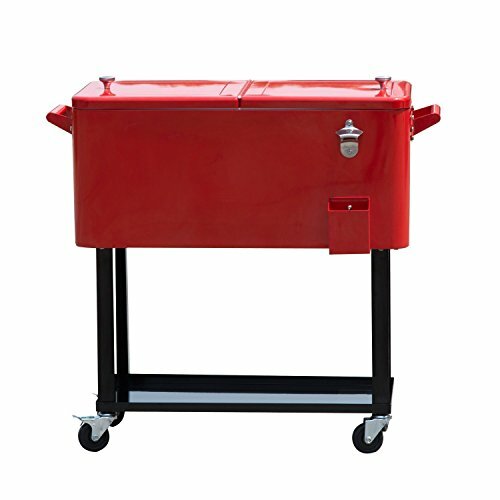 It's constructed with durable stainless steel and surrounded by powder coat finish surface for years. Double lid top design is easy for taking things. 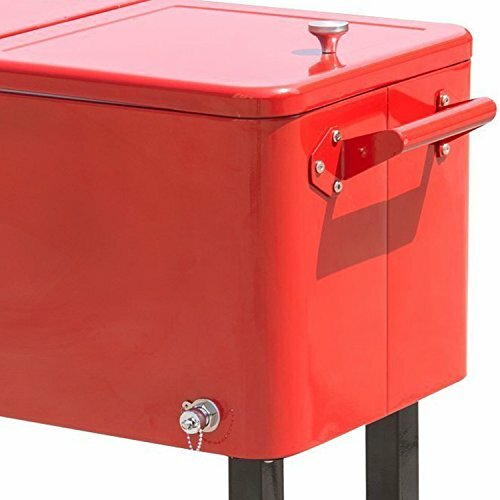 Featuring refrigeration insulation, help keep your drinks cool for a longer duration. Includes cap catcher, bottle opener and instruction manual. 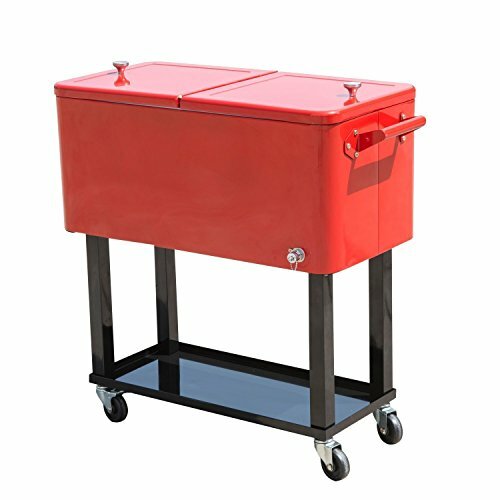 Bring this Cooler Cart and enjoy the party wherever you go.